Brad takes his knowledge of project leadership, operations, and property-level decision making to the team at Long Lane Partners. As former Head of Operations for Jackson Hole Unlimited, a private real estate management firm, he oversaw numerous residential and commercial projects throughout the country and directed all the back-office functions of the firm. Previously, he worked as a ski instructor, wilderness guide, and social worker. He is an accomplished mountaineer and active rugby player. 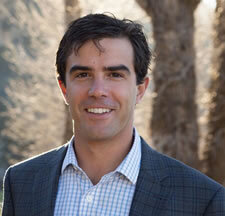 Brad took his BA from Northwestern University and has lived in Jackson Hole since 2010. He is a licensed real estate professional in Wyoming.